The P&S Bead Maker Spray Bottle is the perfect bottle to pair with the P&S Bead Maker Paint Protectant. This bottle is color coded and pre-labeled as "Bead Maker" so you will never confuse this product for another. On the back of the label P&S lists application steps along with safety info. This bottle does not come with a trigger but the DI Accessories Chemical Resistant Spray Trigger is a perfect fit. The bottle is 32 ounces. 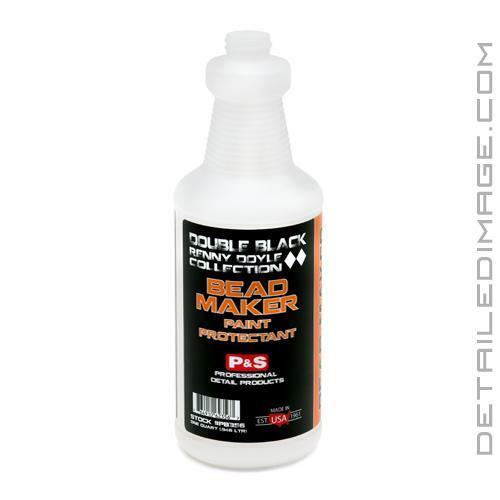 If you are looking for an easy way to dilute or simply use your Bead Maker in a small bottle, the P&S Bead Maker Spray Bottle is a great product to pick up. Please Note: Sprayer sold separately. We recommend picking up the DI Accessories Chemical Resistant Spray Trigger. Looking to pick up the Bead Maker, Bead Maker Spray Bottle and the Chemical Resistant Trigger? 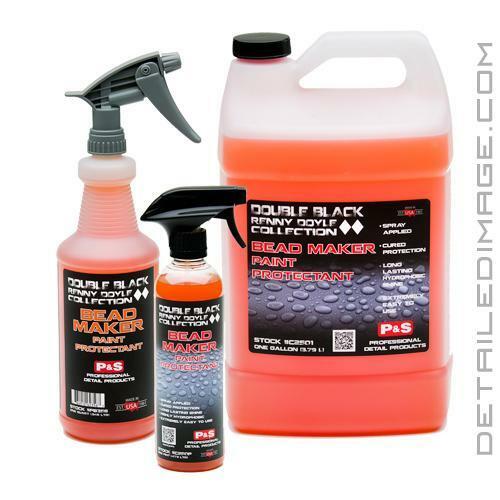 Check out the P&S Bead Maker Paint Protectant Kit! Double Black Renny Doyle Collection: This collection consists of various P&S products that are hand-picked by Renny Doyle after extensive testing. Renny believes that these products stand with or above the competition as the best in the industry and he uses them personally and professionally. You will also see Renny and his team using these products at McCall's Motorworks Revival Event and The Quail or maintaining Air Force One planes. P&S and Renny will continue to evolve and improve this collection so that you can use the same products as a world-class detailer. This stuff is awesome so took advantage of the opportunity to have more at my fingertips being you use a little more than other products but results are amazing and a gallon of Beadmaker is cheap, great value. Excellent customer service! And thanks for taking the time to respond to me on a non-business day. I wish more vendors were like you.